The action shifts to Mount Maunganui for the second One Day International of the New Zealand vs India series. After beating New Zealand quite easily in the first ODI, India would want to take a good lead in the second ODI going forward in the series. 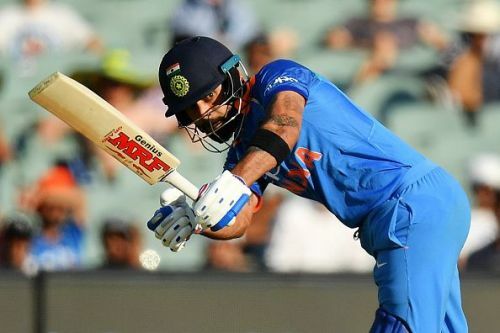 It has become more important for the Indian team to win the second ODI as the Indian team has already announced that Virat Kohli will not be part of the final two One Day International of the series. India would be in a very good space given their recent performances in the One Day Internationals. Everyone who got their chance contributed to the 1st ODI victory. Mohammad Shami provided India with the early breakthroughs and the spin duo of Kuldeep Yadav and Yuzvendra Chahal provided the breakthroughs in the middle overs. Shikhar Dhawan got back in form with a good half-century. This will be first One Day International for team India in Mount Maunganui. Looking at the size of ground at Mount Maunganui both the Indian spinners would be very happy. There might be one change that India would be tempted to make because of the way Ambati Rayadu played in his short innings. Ambati Rayadu looked rusty in his short stay at the crease. Predicted playing XI for India: Shikhar Dhawan, Rohit Sharma, Virat Kohli, MS Dhoni, Kedar Jadhav, Dinesh Karthik, Vijay Shankar, Bhuvneshwar Kumar, Kuldeep Yadav, Mohammed Shami, Yuzvendra Chahal. New Zealand team would be disappointed with their performance in the 1st ODI. Their batsman could have shown a better application of their technique. Apart from Kane Williamson, no one looked to understand the Indian spinners. New Zealand will definitely come hard in the second One Day International. New Zealand would want to include a second spinner in their playing XI looking at the ground in Mount Maunganui. They could also bring in Colin de Grandhomme to bring more depth to their batting lineup. New Zealand has a 50-50 record at Mount Maunganui. Till now, they have played six matches at this venue and has won three out of those ODIs. Predicted playing XI for New Zealand: Colin Munro, Martin Guptill, Kane Williamson, Ross Taylor, Tom Latham, Henry Nicholls, Colin de Grandhomme, Mitchell Santner, Ish Sodhi, Tim Southee, Trent Boult.